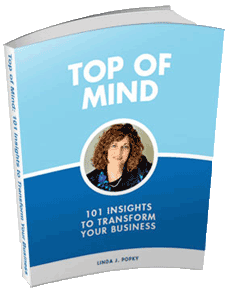 Are They Hurting Your Business? It’s a funny thing about marketing – everyone seems to know how to do it. Trouble is not everyone can do it well. Sometimes what seems like it should be simple and straightforward may not be the best way to approach a marketing problem and grow your business. Watch this space as we expose top marketing myths and give you the ammunition you need to spot these and avoid them in your own situation. Myth #9: Cut marketing in a recession to improve financials. 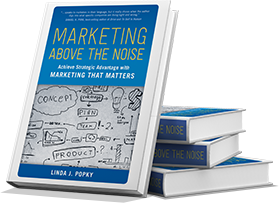 Hear what Linda has to say about “The Myths and Realities of Marketing” (1 hour). Need a Speaker? Please see our Leverage2Market® series.